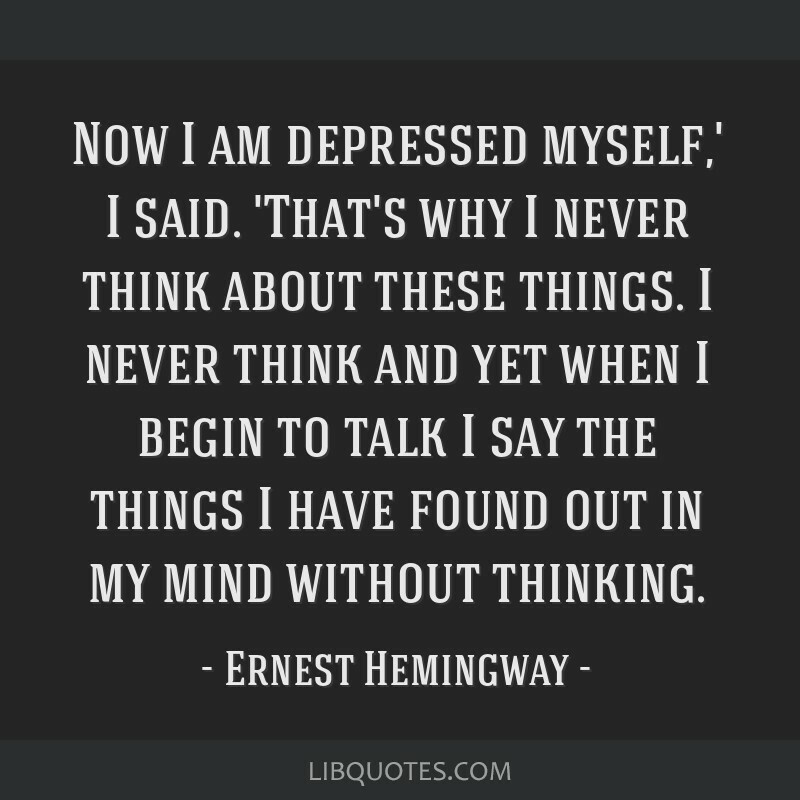 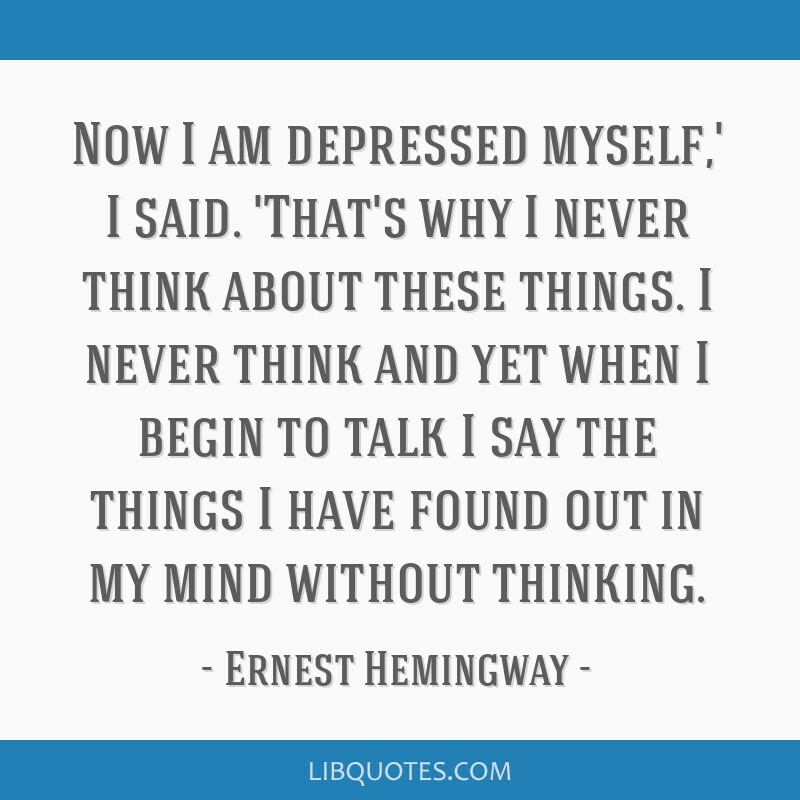 Now I am depressed myself,' I said. 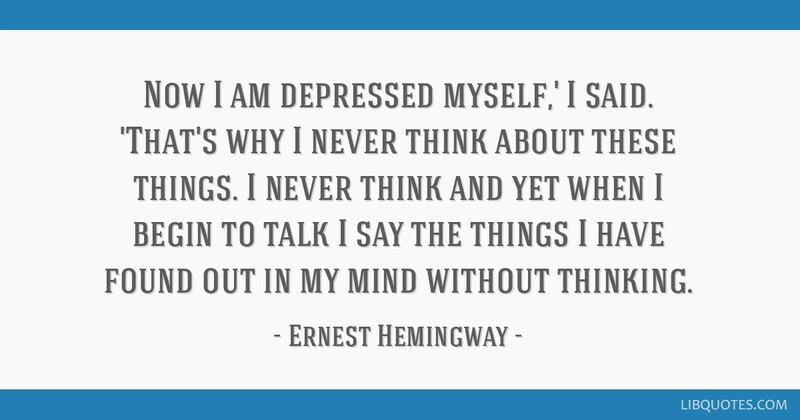 'That's why I never think about these things. 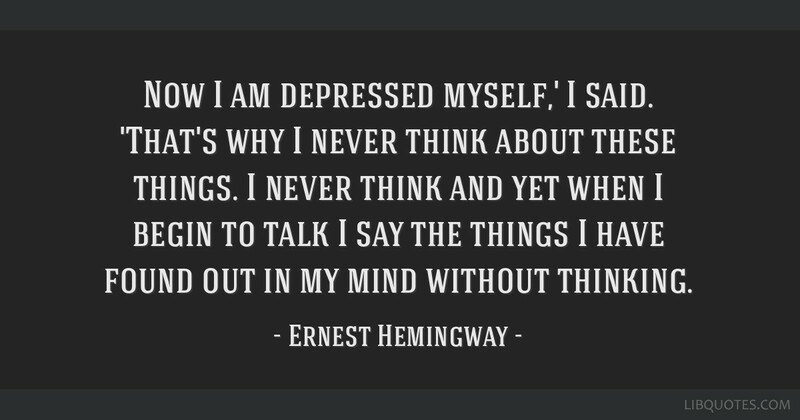 I never think and yet when I begin to talk I say the things I have found out in my mind without thinking.